Fnac Darty is directed by an executive committee containing 11 members. Its function is to define the main strategic outlines of the group and their impacts on financial and management equilibria. With a degree in Economics and having graduated from the IESE Business School in Madrid, Enrique Martinez started his career at Toys’R Us. In 1998, he joined Groupe Fnac tasked with establishing and developing the brand in Portugal. He then held various positions within the Group in both Spain and Portugal. In 2004, he joined the Executive Committee as CEO for the Iberian region. In 2012, he was invited to France to head up the France and Northern Europe region (France, Belgium and Switzerland). In 19 years, Enrique Martinez has contributed significantly to Groupe Fnac's growth. Since July 2016, he was entrusted with overseeing the efforts to integrate the Fnac and Darty brands in France, which, in a matter of months, would result in the creation of the first synergies between the two brands. He has been Chief Executive Officer of Fnac Darty since July 2017. Vincent Gufflet is Fnac Darty Commercial Director, Products and Services, in charge of all Group commercial activities, in particular defining the products and services offer and commercial animation. After graduating from ISAE-SUPAERO, Vincent launched his career in 1995 as a consultant and analyst at Arthur D. Little. In 2000, he joined the Kingfisher Group as Strategy Director in the DIY division. From there he held various positions of responsibility within the Darty Group: Development Director from 2003 to 2006, Development and Organization Director at Darty Box from 2006 to 2011, Marketing Director of the Services Department from 2011 to 2013, Customer Services and Assistance Director of Darty from 2013 to 2014, followed by Sales and Marketing Director of all Darty Group departments up to 2015. Since 2014 he has served as a member of the Menafinance Board of Directors. Graduate of the EDHEC Business School in Lille, Annabel has over 20 years' experience in BtoC retail. She began her career at Printemps Group. From 2008 to 2012, she was Director of Customer and Internet Marketing at Lapeyre (Saint-Gobain Group) and then Director of Marketing, Communication and Digital from 2012 to 2015. 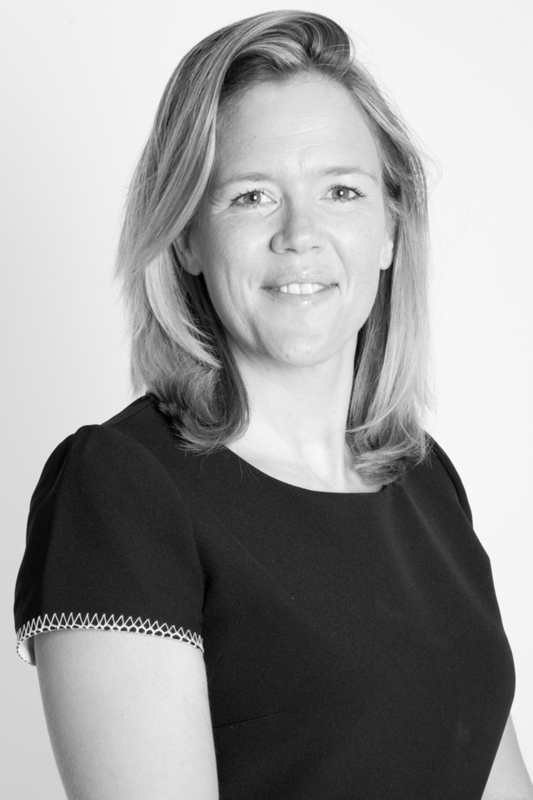 Annabel has been Marketing, Digital and Operations Director at Morgan (Beaumanoir Group) since 2015. Frédérique Giavarini is Human Resources Director since 2014. A graduate of the Paris Institute of Political Studies and with a Master’s Degree in Applied Economics, Frédérique started her career in public domain consultancy, before joining the Organization and Strategy team of Arthur Andersen then BearingPoint. After this experience in the consultancy domain, she integrated the Fnac strategy department as Project manager in 2007. In 2010, she joined the brand and marketing department as Studies and Offer Marketing Director. In 2011, she was named Public Affairs and Strategy Director then extended her role in 2013 by becoming Director for Organization, Strategy and Public Affairs. She also manages the store projects and performance plan. The Indirect purchasing division is attached to her. 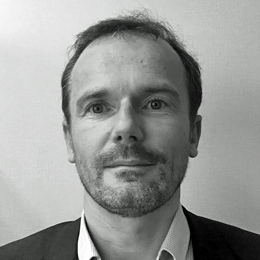 Olivier Theulle, Director of Operations and Information Systems, is in charge of the Group's logistics, delivery, and after-sales-service activities. 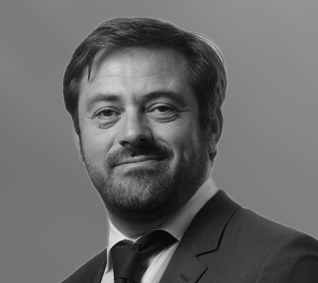 A graduate of ESSEC and former consultant at McKinsey & Company, Olivier Theulle managed the Le Chameau brand for the Lafuma Group between 2006 and 2009 before joining Redcats (Kering Group) in 2010, first as Chief Executive Officer of Relais Colis and then as Group Operations Director. He joined the Fnac Group in December 2013. 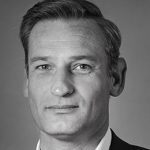 Benoît Jaubert is Store Network Director, in charge of the franchised and integrated stores network, B2B activities, and kitchen operations. He is also responsible for supervising Fnac in Switzerland and BCC in the Netherlands. 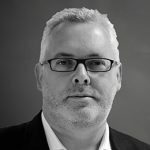 After graduating from ESSEC Business School, Benoît Jaubert began his career at the time of the Eurostar launch as Distribution Director from 1993 to 1996. From there he joined France Telecom Multimedia as Operations Director from 1996 to 1998. He joined the Darty Group in 1998 as part of its Development Department. 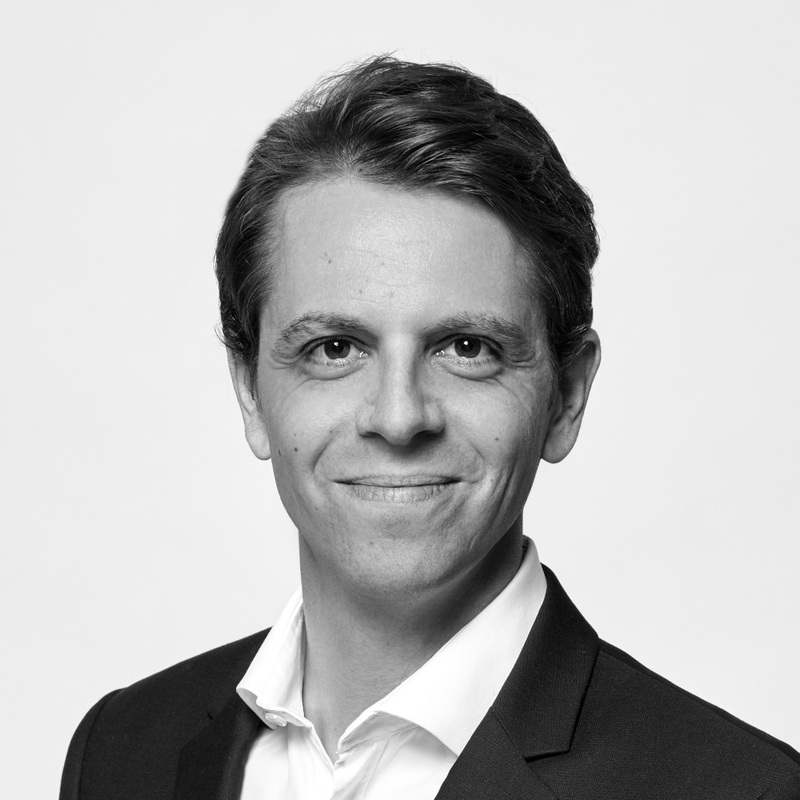 Benoît went on to serve as Operations Director before taking over the Darty Spain subsidiary, finally becoming Head of the Marketing Department of Darty France from 2013 to June 2016. Benjamin Perret graduated from the IEP in Paris and holds a DEA in Applied Economics in Business and Finance. He joined Ogilvy Public Relations in July 2003 and joined Euro RSCG C & O in April 2006 as a Consulting Director. In October 2010, he joined the Caisse des Dépôts group Communications Department as Head of the Press Office. From September 2012 to the end of April 2013, he was in charge of Press and Communication at the Ministry of Budgets. In May 2013 he joined the Executive Committee of the ADP Group as head of the Communication Department, in charge of Influence Communication, Brand, Commercial Communication, Operational Communication and Internal Communication. Jean-Brieuc Le Tinier, graduate of HEC, began his career at PwC. After serving as Management Control Officer at Vogica, he joined Carrefour Group where he successively held positions as Financial Controller for France and European countries, then as Group Financial Control Director. In 2005, he became the Treasury and Financing Director for Carrefour Group, before being promoted to Financial Director of Carrefour Property in 2007. In 2009, he was appointed Financial Director at Brico Dépôt (Kingfisher Group). In 2013, he joined Korian Group as Chief Financial Officer and member of its Executive Committee. Marcos Ruao is Chief Executive Officer of Fnac Spain, in charge of coordination for the Iberia Region. After graduating with a degree in Mechanical Engineering from the Instituto Superior Técnico in Lisbon, then with a Masters degree in Mechanical Engineering, Marcos Ruao continued his studies, earning a diploma in Supply Chain Management and Leadership. He began his professional career in 1995 as a Researcher in the Lisbon University of Engineering’s I&D department. That same year, he began working for DHL, where he held several Management positions. In 2007, he joined Fnac Portugal and managed several departments such as Logistics, Supply Chain and E-commerce. Charles-Henri de Maleissye is Chief Executive Officer of Fnac Vanden Borre in Belgium. 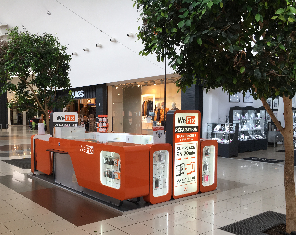 Since February 2015, Charles-Henri de Maleissye has been the CEO of Vanden Borre, one of the largest appliance retailers in Belgium, which successfully developed the Darty concept. 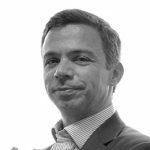 With an MBA from the Sorbonne and a diploma from the Institut d’Administration des Entreprises de Paris (IAE), Charles-Henri joined Vanden Borre in 2008 as Marketing Director in charge of the multi-channel-sales and procurement strategy. Previously, he had worked for 13 years at the Darty Group where he served in several capacities. These included developing procurement in Asia, in addition to several product categories throughout Europe. He has vast experience in developed markets in addition to the distribution sector in countries where the Darty Group operates. 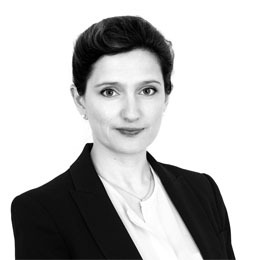 Anne-Laure Feldkircher is Executive committee secretary Fnac Darty Strategy and M&A Director. 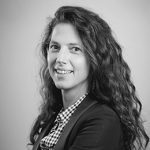 A graduate from Sciences-Po Paris and l’ESSEC, Anne-Laure Feldkircher started her carrier in 2009 as a consultant for the Boston Consulting Group. In 2013, she joined Hermès Strategy Department, then that of the Casino Group. From 2015 to 2017, she was involved in the turnaround of a d’une Business Unit du Casino Group business unit as Strategy Director, and also overviewed the Concept and Store Organization departments. In January 2018, she joined the Fnac Darty Group. Graduated from Ecole Polytechnique (class of 1983) and the Collège des Ingénieurs (class of 1989), he also holds an engineering degree from Ponts et Chaussées (class of 1988). He was appointed to the Treasury Department where he served as Secretary for the Inter-Ministerial Committee on Industrial Reconstruction (“Comité Interministériel de Restructuration Industrielle”-CIRI) for the period 1989-1991, then Deputy Secretary General to the Paris Club from 1991 to 1993. From 1993 to 1995, he served as Technical Cabinet Adviser to the Ministry of Transport Equipment, Tourism and the Seas. 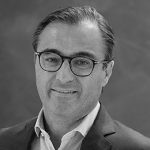 In 1995, he joined the Louis Dreyfus group as Chief Executive of Louis Dreyfus Shipbuilders (1995-1998), before becoming Chairman and Chief Executive Officer of Louis Dreyfus Communications, which was renamed Neuf Cegetel, from 1998 to 2008, and then Chairman and Chief Executive Officer of the Louis Dreyfus group from 2008 to 2011. Since 2011, he has been Chairman of Impala, and, since July 2017, Chairman of the Board of Directors of Fnac Darty. A graduate of the Institut d’Etudes Politiques de Paris, the holder of a “Bank and finance” DESS from the Université Paris-IX Dauphine and graduate of the Ecole Nationale de l’Administration (promotion Léon Gambetta). Appointed to the General Inspection of Finances in 1993, he became Deputy Secretary General of the Economic and Financial Committee of the European Union in 1997. From 1999 to 2002, he was an Advisor of economic and industrial affairs in the Cabinet of Pascal Lamy at the European Commission. An attorney licensed in Paris and Brussells, in 2002 he became a partner at the law firm of Gide Loyrette Nouel. In 2007, he was appointed Deputy Director of the cabinet of the Prime Minister, François Fillon, in charge of economic and financial matters. In March 2010, he became Deputy Chief Executive Officer of the Caisse des Dépôts in charge of finance, strategy, investments and steering of European and international activities, then Chief Executive Officer of the Caisse des Dépôts Group by interim from February to July 2012. In April 2013, he formed the law firm BDGS Associés. A graduate of the École Supérieure de Commerce de Paris. She started her career in the Renault Group as Treasurer of Renault Véhicules Industriels, then Chief Financial Officer of Renault Crédit International. She joined the Pinault Group in 1989 as a financial officer. In 1992, she became the Chief Executive Officer of Artémis then in 2004, Chief Executive Officer of Financierd Pinault. She is currently the Chief Executive Officer of Artémis, the Vice-Chairman of the Board of Directors of Kering and the Chairman of Christie’s International. Graduate of the École des Hautes Études Commerciales (class of 1992). Ms. Ferrand started her career at PriceWaterhouseCoopers, where she was an auditor and later a financial advisor in the Transaction Services Division. In 2000, she joined Sony France, the French subsidiary of the consumer and professional electronics branch of the Sony Corporation group, as Financial Director before becoming General Secretary in 2002. In 2011, she held the position of Chief Financial Officer of the Europacorp group. Since January 2013 she has been Financing Director at Artémis Group and in charge of strategic and financial support for certain investments. Sandra Lagumina is a graduate of the Ecole nationale d'administration (National School of Administration, ENA) and the Institut d'études politiques de Paris (Sciences Po), and also holds a DESS (postgraduate degree) in common market law and a DESS in public law. She began her professional career at the French Council of State where she held the position of Auditor and then Master of Requests from 1995 to 1998. Sandra Lagumina then became Technical and Legal Advisor to the Speaker of the National Assembly. In 2000, she joined the cabinet of the Ministry of Economy, Finances and Industry as Technical Advisor responsible for legal matters, public procurement and competition law. She was then appointed Deputy Director of public and international law in the ministry's legal affairs directorate and Judicial Agent of the Treasury (2002-2005). In 2005, she joined Gaz de France, where she held several positions in the areas of strategy and law. 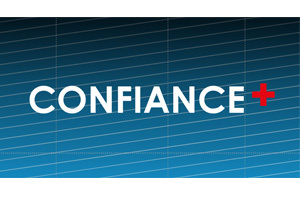 Between 2008 and 2013, she held the position of General Counsel at GDF Suez. She was then appointed in 2013 as Chief Executive Officer of GRDF (Gaz Réseau Distribution France). In 2016, she became Deputy Chief Executive Officer of ENGIE and then, in 2017, managing director of Meridiam responsible for asset management. She is also President of the Conservatoire National de Musique et de Danse de Paris (National Conservatoire of Music and Dance). She is a member of the college of the Competition Authority. Delphine Mousseau is a graduate of HEC and has a Master's degree in Business Administration. She began her career in 1995 as Project Manager at the Boston Consulting Group. In 1999, she joined Plantes-et-Jardins.com as Head of Operations. Between 2007 and 2011, she held the position of Director of E-Commerce for Europe at Tommy Hilfiger. She then worked as an Independent Consultant, primarily for the former Primondo Group. Since 2014, Delphine Mousseau has been VP Markets at Zalando. Daniela Weber-Rey has a Master's degree in law from the University of Columbia, New York, and was admitted to the Frankfurt bar in 1984 and the New York bar in 1986. Daniela Weber-Rey has been for close to 30 years, in turn, a lawyer and partner at the firm Pünder Volhard & Weber, and then Clifford Chance, Counsel to various European bodies and, for 5 years, a member of the Board of Directors of BNP Paribas. She is a member of the Government Commission of the German Corporate Governance Code, a member of the Board of the European Corporate Governance Institute, and a non-executive member of the Board of HSBC Trinkaus & Burkhardt AG. Between 2013 and 2016, Daniela Weber-Rey joined Deutsche Bank AG as Chief Governance Officer and Deputy Global Head of Compliance. Daniela Weber-Rey is a member of the Economic Council at the French Embassy in Germany (Berlin). She was appointed Chevalier de la Légion d’Honneur in 2010 in recognition of her commitment to Franco-German relations. Graduated from the Institut d’études politiques de Paris and holds a Master’s in History from the Université des sciences humaines; Head of advertising at Publicis (1984-1988), in 1988 Ms. Taittinger-Jouyet became project manager for the Marketing Division of the Louvre group in charge of industrial and budget hotel products. From 1991 to 2012, she was Chair of the Société des Parfums Annick Goutal. Since 2013, she has been Director of Strategy and Development at the Institut d’Études Politiques de Paris (Sciences Po – Paris). Nonce Paolini – Master’s degree in literature and graduate of the Paris Institut d’Études Politiques (class of 1972). Mr. Paolini began his career with EDF-GDF, where he held operational and management positions. In 1998, he joined the Bouygues group, where he successively held the positions of Director of Development and Director of Human Resources, before going on to become central Director of Communications. In 1993, he joined TF1 as Director of Human Resources, and in 1999, he was appointed Deputy Chief Executive Officer. In 2002 he was appointed Deputy Chief Executive Officer of Bouygues Telecom and then Managing Director and Board member in April 2004. In 2007, he was appointed CEO of TF1 Group, then Chairman & CEO in 2008 until February 2016. A graduate of the Institut d’Études Politiques de Paris, Caroline Grégoire Sainte Marie also holds a degree in Commercial Law from Université Paris I. She began her professional career in 1981 at Xerox France as Financial Controller. In 1984, she joined Hoechst pharmaceutical group where she successively held several positions in the financial field at Roussel Uclaf S.A. before being appointed in 1994 as Chief Financial Offi cer of Albert Roussel Pharma GmbH, a member of the Executive Board. In 1996, she joined Volkswagen France before moving to Lafarge Group in 1997 as Chief Financial Officer of Lafarge Speciality Products (LMS). In 2000, she was appointed Senior Vice President Mergers & Acquisitions at the Group’s Cement Division. In that position, Caroline Grégoire Sainte Marie led the financial strategy for the takeover of Blue Circle. In 2004, she became Chief Executive Officer for Germany and Czech Republic. In 2007, she was appointed Chair and Chief Executive Officer of Tarmac France and Belgium, before becoming in 2009 the Chair and Chief Executive Offi cer of Frans Bonhomme. Caroline Grégoire Sainte Marie was a member of the Boards of Directors of Eramet (from 2012 to 2016) and Safran (from 2011 to 2015). Since 2011, Caroline Grégoire Sainte Marie is a member of the Boards of Directors of Groupama, FLSMIDTH and Wienerberger. She is also a Director as an investor in Calyos, the founding partner of DefInnov (a collaborative innovation platform in the defense and security field),and Senior Advisor at HIG European Capital Partners. She is a chevalier de la Légion d’honneur. Stéphane Roussel was born on October 12, 1961, and is a graduate of the École des Psychologues Praticiens de Paris. From 1985 to 1997, Stéphane Roussel worked at Xerox. From 1997 to 2004, Mr. Roussel held positions within the Carrefour Group. He was first appointed Director of Human Resources for hypermarkets in France, before becoming Director of Human Resources Development for international business and then Director of Human Resources France for the entire Carrefour Group. From 2004-2009, he served as SFR’s Vice President of Human Resources. Mr. Roussel held the position of Executive Vice President of Human Resources at Vivendi from 2009 to 2012 before being appointed Chairman-Chief Executive Officer of SFR. He joined the group’s General Management team in August 2013 and was appointed to Vivendi’s Management Board in June 2014. Since November 2015, Mr. Roussel has held the position of Vivendi’s Chief Operating Officer after serving as its Senior Executive Vice President, Development and Organization since October 2014. Simon Gillham, born on February 24, 1956, holds degrees from both the University of Sussex and the University of Bristol. In 1981, Simon Gillham began his career at Thomson where he was responsible for language and management training. In 1985 he formed his own training and communication company: York Consultants. In 1991 he was appointed Vice President Communications of Thomson Consumer Electronics and subsequently joined the CarnaudMetalbox group in 1994. 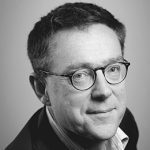 In early 1999, Simon Gillham became Vice President Global Communications of the Valeo group before assuming the position of Vice President Communications at Havas in April 2001. He joined Vivendi in 2007, serving as Senior Executive Vice President, Communications & CSR. Simon Gillham was appointed as a member of Vivendi’s Management Board in November 2015. Simon Gillham is today Chairman of Vivendi Village which includes the activities of Vivendi Ticketing, MyBestPro (connecting individual consumers with professional service providers), Watchever (subscription video on demand), Radionomy (radio platform) and the legendary Paris theatre L’Olympia of which he is the Chairman. He is also responsible for the group’s talent management and live events activities. He is a Vice President of CA Brive Rugby Club. In 2010, Simon Gillham was awarded the OBE (Officer of the British Empire) by Queen Elizabeth II. The Groupe Fnac Darty Board of Directors may decide to set up permanent or temporary committees from among its members in order to facilitate the operations of the Board and to provide effective assistance in preparing its decisions. These committees, under the responsibility of the Board, are charged with examining the subjects that the Board or its Chairman submits for their examination and advice to prepare the work and decisions of the Board. To date, three committees have been established: an Audit Committee, an Appointments and Compensation Committee and a Corporate, Environmental and Social Responsibility Committee. The Audit Committee is a special committee of the Board of Directors whose main missions are oversight of the preparation of financial information. In this context, it must ensure that the Group’s internal control and risk management procedures are implemented, the individual company and consolidated financial statements are reviewed by the Company’s statutory auditors and the rules regarding the independence and objectivity of the statutory auditors are obeyed. The Committee may take all measures it deems necessary to carry out its missions. The Committee shall meet at least four times a year, and as many times as it deems necessary. The meetings of the Committee are recorded in written form and approved. The Groupe Fnac Darty Audit Committee is composed of three directors: Sandra Lagumina (independent director), Daniela Weber-Rey (independent director) and Carole Ferrand (independent director), who is the chairman of the committee. The Committee is comprised of three members, none of whom can be an executive officer of the Company and at least two of whom must be independent according to the independence criteria adopted by the Company in accordance with the AFEP-MEDEF Code. The members of the Audit Committee are all known for their competence with regard to finance, accounting and/or the reviewing of financial statements, combining their expertise in the field of executive and operational management or the financial management of banking institutions and/or companies, as confirmed by their professional experience. The mission of the Appointments and Compensation Committee is to assist the Board in determining the membership of the Company’s and Group’s governing bodies and in the due assessment of all compensation and benefits of the Group’s senior management and executives. The Appointments and Compensation Committee is comprised of three directors: Antoine Gosset-Grainville, independent director and Chairman of the Committee, Patricia Barbizet, director, and Nonce Paolini, independent director. Accordingly, in compliance with the AFEP-MEDEF Code’s criteria, the independent directors constitute two thirds of the Appointments and Compensation Committee. The mission of the Corporate, Environmental and Social Responsibility Committee is to examine the Company’s corporate, environmental and social policies. This committee reviews the actions and results of the past year and presents the strategic directions of Groupe Fnac Darty for the current year. The topics addressed include social dialogue, equality of treatment, gender equality, youth and senior employment, diversity, management of environmental impacts, cultural action and solidarity, and sourcing in Asia for retailers’ brands or products licensed under the Darty trademark. The Committee also ensures that the information published in the Registration Document has been validated by an independent third-party organization (ITP) that certifies their compliance with the requirements of paragraphs 5 and 6 of Article L. 225-102-1. The committee is composed of four directors: Brigitte Taittinger-Jouyet (independent director and Committee Chairperson), Caroline Gregoire Sainte Marie (independent director), Delphine Mousseau (independent director), and Simon Gilham (director).